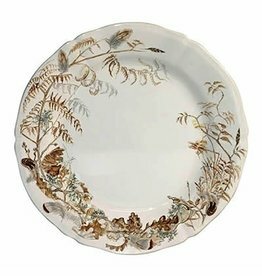 “Sologne” is a design by Estelle Rebottaro for Gien France and presents true-to-life reproductions of the animals on the cream-coloured faience. Discover the flora and fauna of Sologne - a densely wooded area in Central France with many lakes and animals. This gorgeous canap plate features a Partridge motif. 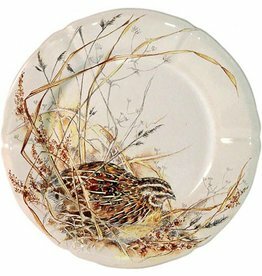 Made in France on cream-colored faience earthenware.